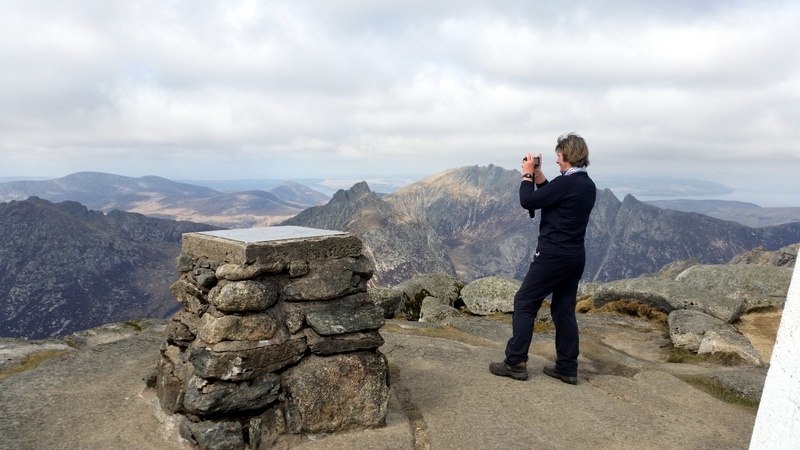 Arran's 4 Corbetts are sufficiently close to one another to be climbed together, but Goatfell is popular as a single peak and is described separately. Goatfell rises steeply to the E of Glen Rosa, forming a single straight wall but for one hanging corrie, Dearg Choirein (small red corrie), and there are crags along the upper slopes. To the E there are easier slopes in the four corries, and on the ridges that separate them, which provide ascent routes from the E and the S.
Goatfell has three main peaks, Goatfell (874m) and North Goatfell (818m) which are connected by the pinnacled Stacach Ridge, and Mullach Buidhe (819m) to the N. A ridge walk between the three peaks is possible, the only difficulty being the pinnacles on the Stacach ridge but it is possible to skirt round these. 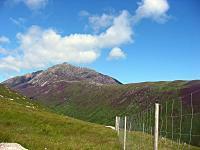 Goat Fell from tourist path leading upwards to the summit. 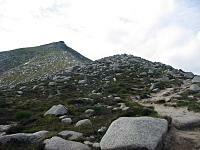 The summary information of one or more ascent routes that include Goatfell. 1 840 m 9.12 km 3.5 hrs Goatfell An easy and popular ascent on well trodden paths. 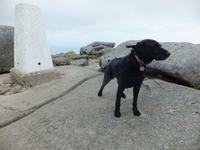 Jorja bracing herself against the "breeze" on Goat Fell. April 2014. 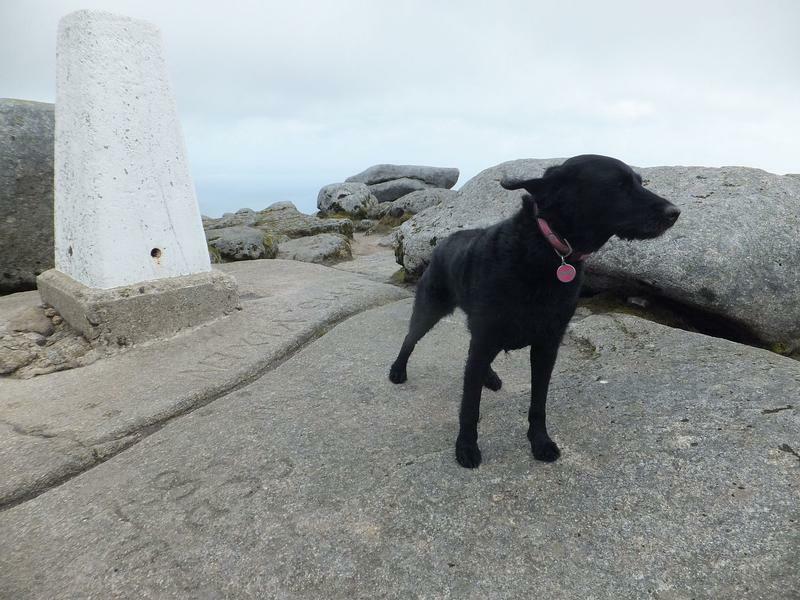 Post a few words about Goatfell or read what others have had to say. Going from Brodick, I found it hard to locate the start. I eventually found it beside the small outdoor shop at Cladach, curving off upwards with a small but easily missable sign. Once on the track, the ascent is comparable to Ben Lomonds 'tourist' route. Bypass paths exist on all the northern pinnacles. 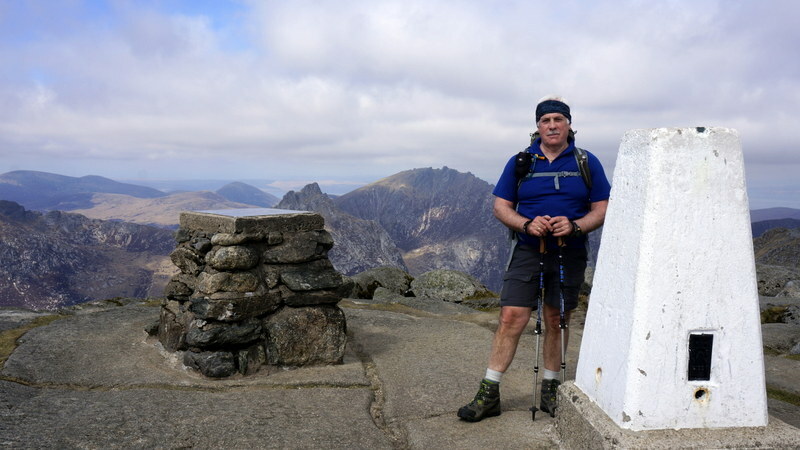 The descent to The Saddle from North Goatfell is brilliant, and easy scrambling all the way. If descending to Sannox, try picking up a path out of Coire na Ciche - we lost it and ended the day over very rough ground. Yet this great hill offers excellent sea views and of surrounding summits. My first ever hill - I had tried the previous year, only to be forced back by the weather. A very pleasent climb with stunning views at the top.